Memory care units offer those suffering from Alzheimer’s and dementia a safe environment with around-the-clock care. While a standard long-term care facility can provide a home-like environment for residents and patients, it’s best to find a facility with a certified memory care unit when considering where to place your loved one with dementia or Alzheimer’s. The physical layout of a certified memory care unit is strategically designed to offer the best environment for dementia and Alzheimer’s patients. The design is created with wandering in mind – a symptom common for patients suffering from these diseases – and minimizes symptomatic behavior while also making it easy for residents to navigate around the unit. At Elmhurst Extended Care Center, our wander management system within our certified memory care unit allows residents to freely move about the floor while ensuring their safety and security in the area. It’s important that, although wandering is intended to be minimized in a memory care unit, Alzheimer’s and dementia patients are still able to enjoy plenty of movement and stimulation. EECC has designed our unit with two multipurpose areas for dining, visiting and activities. Each area is on opposite ends of the floor, promoting continuous movement and stimulation. As Alzheimer’s and dementia patients require specialized care, it’s important that the staff at your long-term care facility are trained especially for this. Memory care provides intensive, long-term medical care, and as such, the staff in the certified memory care unit is a key factor in the comfortability of your loved one. 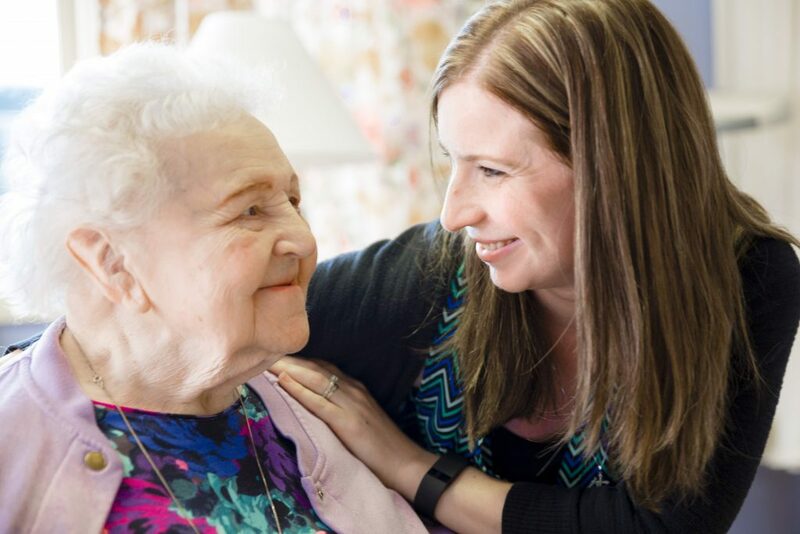 Through our skilled staff and ongoing training in dealing with these complex and difficult diseases, EECC understands the challenges that you face when caring for a loved one with Alzheimer’s or dementia. We offer a monthly Alzheimer’s and dementia support group along with DVDs and other valuable information that can support and assist you with your loved one and their care. If you’d like to see if the certified memory care unit at Elmhurst Extended Care Center is the right place for your loved one, schedule a tour today. Worried your loved one may be developing Alzheimer’s or dementia? Here are 7 signs and symptoms. Being a caregiver to someone else can be very demanding and requires more effort, time, and energy than most people realize. When our loved ones are depending on us for assistance, meal preparation, housekeeping, transportation, and regular daily needs, it can become cumbersome as we try to juggle these duties with our own lives. At some point, you may find yourself feeling burnt out, mentally, emotionally, and physically fatigued, and desperately seeking a much-needed break. 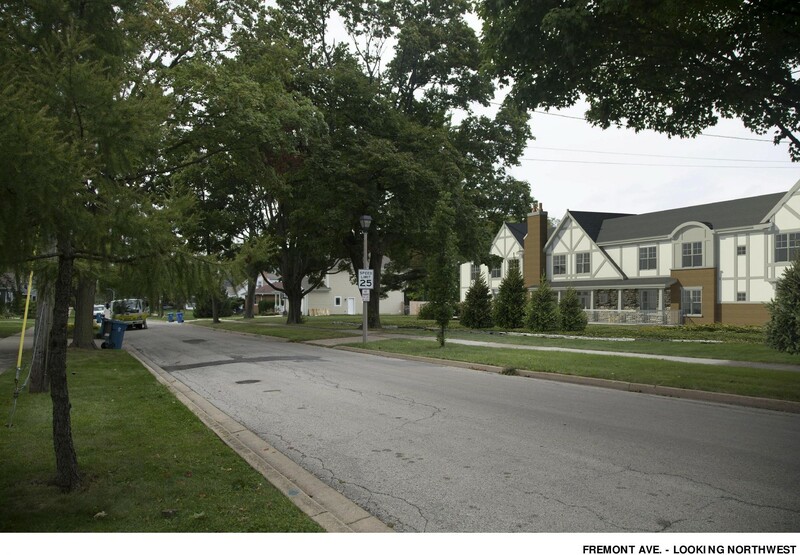 That’s where respite care services from Elmhurst Extended Care Center come in. When we aren’t at our best, it’s not possible for us to give our best to our loved ones. That can have a large impact in situations where we’re providing regular care for another person. While it may seem worrisome to have someone else take over your duties for a few days or even weeks while you recoup your energy, respite care services offer the ultimate advantage in ensuring you’re coming back to caregiving refreshed and renewed. At Elmhurst Extended Care Center, your loved one will receive the same services and care that are offered to our long-term residents. It’s our goal to make sure you and they are secure in knowing that the care our skilled nursing team provides is held at the same exceptionally high standards for everyone that enters our facility, no matter how long or short their stay. Our dedicated staff members at Elmhurst Extended Care Center want to provide the best possible care for your loved one during their time with us. In order to do so, there are a few things we need before the respite stay can begin. There is a 5 day minimum stay for respite care services at EECC in order to allow you adequate time for recuperation. While respite care is definitely favorable for those caregivers finding themselves in need of a break, it’s also a beneficial method for providing the skilled nursing care your loved one needs when other circumstances arise. You may find yourself needing to go out of town for business or wanting to go on that family vacation you had planned before you became a caregiver. With respite care services from Elmhurst Extended Care Center, you’re able to take the time away you want and need while feeling secure in knowing your loved one is being well taken care of. Have you thought about what happens if you get sick? Generally, individuals receiving regular care are at a higher risk for succumbing to illness. Respite care is a great way to allow them to receive the care they need while you get back to health. If you’d like more information on how the respite care services at EECC can assist you in providing the care required while you’re away, give us a call today. When the time arises that you’re focused on mental images of nursing homes and the negative connotations that can sometimes accompany those thoughts, you may feel like you’re admitting and recognizing that either you or a family member is getting older, and their needs have changed. What’s more, you’d love to find a facility where the focus is not so much on “group care,” but rather on aiming to offer a superior, individualized quality of life approach for you or your loved one. Since 1960, Elmhurst Extended Care Center has solved this dilemma in skilled nursing care by taking a different approach: the “small home,” family-owned model. Instead of multi-story buildings where residents share rooms along bleak, long corridors – facilities that resemble hospitals at worst and corporate hotel chains at best – we try to create a home-like environment, where your loved one receives the individualized care and attention they deserve. Our approach is simple … we truly are a family of caregivers focused on you and your family. At EECC, our smaller, family-owned model moves away from the hospitalization-like treatment of seniors. Within our facility, we try to recreate the personalized, patient-centric care given to a loved one in a home environment. The big difference between large, traditional skilled nursing care facilities and smaller, family-owned facilities is the organizational structure. 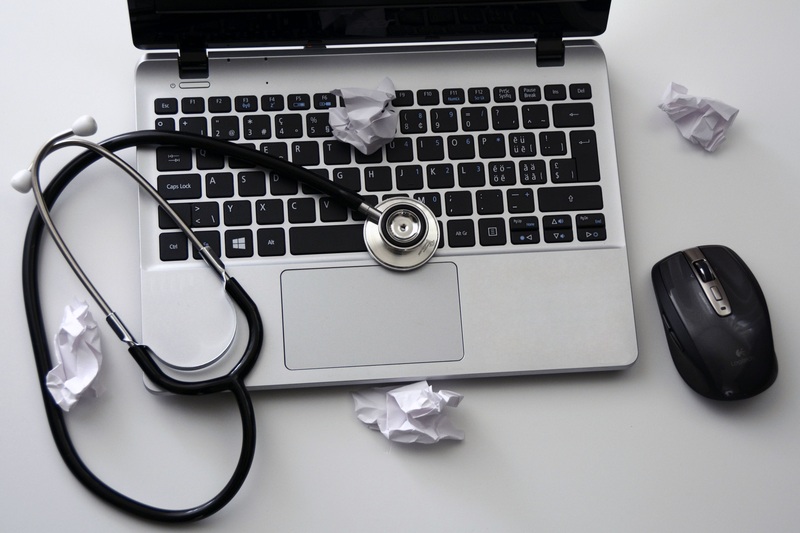 Traditional care facilities are hierarchical, task-centric organizations, where large staffs focus on executing a strict routine of tasks associated with the care of patients. Elmhurst Extended Care Center is family-owned and run by a small, self-managed team, meaning the residents’ voices are heard and listened to – and our skilled nursing staff can better cater to each of their needs and preferences. The core attributes families are looking for, no matter what type of out-of-home extended care they are considering, include quality healthcare; staff who are compassionate, friendly and responsive; and security, safety and peace of mind that their family member is taken care of like their own. EECC excels in these areas, where as larger institutions may fall short. A low ratio of residents to staff means staff members are more likely to notice problems early, when they are small, and help patients get treatment before those problems become serious. For anyone with specialized needs, whether it’s a doctor-mandated diet, certain lifestyle choices or a cognitive disability such as dementia, EECC can be the ideal choice. Our facility more easily caters to these specific, individualized needs because of our incredible staff-resident ratio and our in-house specialists such as our physical therapists and dietitians. EECC offers the opportunity for close relationships with the caring staff and other residents. We are not a large corporation with multiple branches and locations, so the setting feels comfortable, inviting, and simply like a natural extension of your home. Elmhurst Extended Care Center raises the bar for skilled nursing standards and cares for you and your loved ones like they are family. 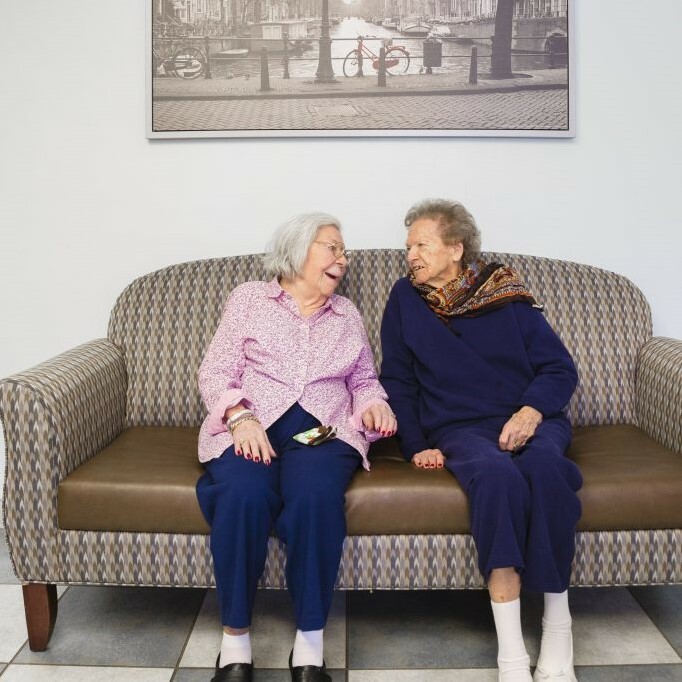 From excellent, unparalleled healthcare, to a host of amenities such as physical rehabilitation, long-term care, memory care, and respite stays, EECC is deeply committed and connected to you and the communities we serve. We work to meet the physical, emotional, and personal needs of residents in a caring, compassionate environment where families always come first. To learn more about how Elmhurst Extended Care Center can meet you and your loved ones needs today, call or stop by! Not so fast — Occupational Therapy has become increasingly important to a senior’s vitality and well-being. It’s a complete game changer when it comes to enhancing their well-being and getting them back to feeling better than ever. As you age, you want to be able to maintain both an adequate level of autonomy and the ability to perform activities of daily living on your own. Occupational therapy exercises for seniors focus on activities that allow you to maintain independence and help you overcome physical, mental or social problems as a result of a disability or aging. Physical Therapy vs. Occupational Therapy? What’s the difference? Within your plan of care, your doctor may recommend both physical and occupational therapy. An easy way to remember the difference is that occupational therapy (OT) is about the technical execution of daily activities. It tends to be more focused on improving life skills and involves adaptive tools that lead to a better quality of life. Physical therapy (PT) typically helps to improve mobility and is more likely to only treat the physical source of the injury: damaged tissues, muscle, and structure. When a physical therapist treats an older adult with a broken arm, their main goal will be to restore full mobility to the hands and elbow. But, an occupational therapist will help that person relearn how to eat using utensils and comb their hair. There’s an obvious synergy between the two therapies, and it’s no wonder they are often presented hand-in-hand. Let’s face it … everyday tasks that were once easy and completed with little or no thought, have now become quite challenging. And what’s worse, you feel the need to constantly depend on others for help. Occupational therapy can help compensate for the hurdles you face each day. From dressing and feeding yourself, to home management or participating in social activities, OT can bring back your sense of confidence and independence. Did you know that one in four older Americans fall every year? Falls are the leading cause of both fatal and nonfatal injuries for people aged 65 and over. As we age, most of us lose some coordination, flexibility, and balance — primarily through inactivity, making it easier to fall. When you or a loved one have experienced a fall, you’ll find just why occupational therapy is so essential. Our OT specialists help seniors with problem-solving strategies so they can stay active. Occupational therapists make your life a lot simpler with convenient devices like built-up eating utensils, semi-automatic cutting boards, and more. Plus, OTs can help you acquire devices like a bathtub bench to make things easier. The occupational therapists at Elmhurst Extended Care Center truly care about your longevity – even after you’ve left our facility. We’ll help you learn how to optimize your home to promote full participation in all activities of daily life so you can thrive. Our OT specialists are on-staff to assist you or your loved one to gaining more independence, a new lease on life and a healthier outlook. Even simple occupational therapy exercises done daily can improve function and help you get back to feeling better than ever. Wherever you are in your journey, our job is to help you feel the very best. Trust Elmhurst Extended Care Center to provide you with the care you deserve. Hear how our short term rehabilitation program helped Anne after a fall that broke her hip. A rendering of the planned addition to the facility. Our vision at Elmhurst Extended Care Center has always been to provide the highest quality of care for our residents and their families centered around a home-like environment filled with love, compassion, and a positive outlook for any that stay with us. In pursuit of continuing and advancing our already high level of care, we purchased land adjacent to our current location and applied to expand our facility to ultimately provide our residents with the accommodations they deserve. The new, two-story, 31,000 square foot building has officially been approved by Elmhurst City Council and will expand our current Lake Street facility onto Fremont Street. The new building will attach directly to our current location. Once the expansion is complete, our facility will be able to fully utilize its 108 bed license. Currently, the facility operates approximately 85 beds to prevent overcrowding. In an effort to afford more privacy as well as the home-like environment our residents truly appreciate, the enlarged facility will offer 54 private rooms. These private rooms provide the ability to enjoy extra comfort as well as an increased level of patient care. For those that are paying privately and are looking for ways to save money, we will also have 27 semi-private rooms. Something we are very excited about at Elmhurst Extended Care Center is the coming of cook-to-order option we will be able to offer with the completion of the expansion! Residents will have the option to place orders for their meals similar to ordering room service at a hotel. This option is another that really drives home the importance we place on having our residents feel like they’re at home. For any residents that aren’t able to order for themselves, we will still feature a set menu full of balanced, nutritious meals like we do now. We are excited about expanding our facility! These improvements will amplify our continuous, high level of care, allowing our residents and their families to feel confident in knowing they’ve chosen the best place for themselves and their loved ones. While a definitive date has not yet been set, Elmhurst Extended Care Center hopes to break ground this fall! When Anne found herself in the hospital after a fall that broke her hip, she wasn’t sure where to turn for her short term rehabilitation care. After choosing to use our rehabilitation center, she found that she received more than just the ability to get back on her feet. We caught up with Anne to see how her rehab at EECC helped her get in even better shape than she was before. What procedure or situation occurred that required you to need a rehabilitation center? I was at home when I felt the urge to use the restroom. I live in a split level and had to go up a few stairs to get to it. I’m not sure what happened but next thing I knew, I had fallen and slid down a few stairs and was in a lot of pain. I called my son, and he told me to call 911. The paramedics arrived and took me to the hospital. When I got there, they took x-rays and told me my hip was broken. I was bruised all over. How easy did you find the process to be in setting up rehab through EECC? It was extremely easy for me. Because I was stuck in the hospital there wasn’t much I could do to research where to go. I chose Elmhurst Extended Care Center because they visited me in the hospital and explained what would happen next and what to expect. It was nice because they offered to explain and help me whether I chose to go to Elmhurst Extended Care or not. They seemed like the only ones that really cared. They just wanted to make sure I understood what was going on and were there to help. What was your stay like? The staff? I couldn’t say enough about my stay. First off, the place is extremely clean and well maintained. I’ve been to other places to visit friends, and it either smells bad or like too much air freshener. At Elmhurst Extended Care it doesn’t smell like anything. It’s just clean. My room was nice and bright. It had a big window letting in lots of light which looked out into the neighborhood. I had my own bathroom, fridge, and big screen TV. The room was well decorated. Although the aesthetics were nice, the staff is really what makes Elmhurst Extended Care Center a hidden treasure. The CNAs were attentive and so kind. They always were smiling and happy to help. The therapy staff was amazing. They saw me within an hour of me arriving and were there everyday to work with me. Because of them, I am in better shape than before I even broke my hip. What did you enjoy the most about choosing to go through short term rehabilitation with EECC? I enjoyed being around so many wonderful and caring people. I was nervous about going anywhere but when I arrived at Elmhurst Extended Care, my worries went away immediately. The staff cared for me and wanted me to be happy. I could feel I was in good hands. My son didn’t have to worry about a thing either. I hate being a burden on him, but he didn’t even miss a day of work. How do you feel your mobility, health, and situation have improved since going through EECC’s short term rehabilitation program? Like I said before, I’m better now than I was before I fell down the stairs. I recommend Elmhurst Extended Care to anyone who needs help. If anything happens to me in the future, I’ll definitely go back to see my friends at Elmhurst Extended Care. 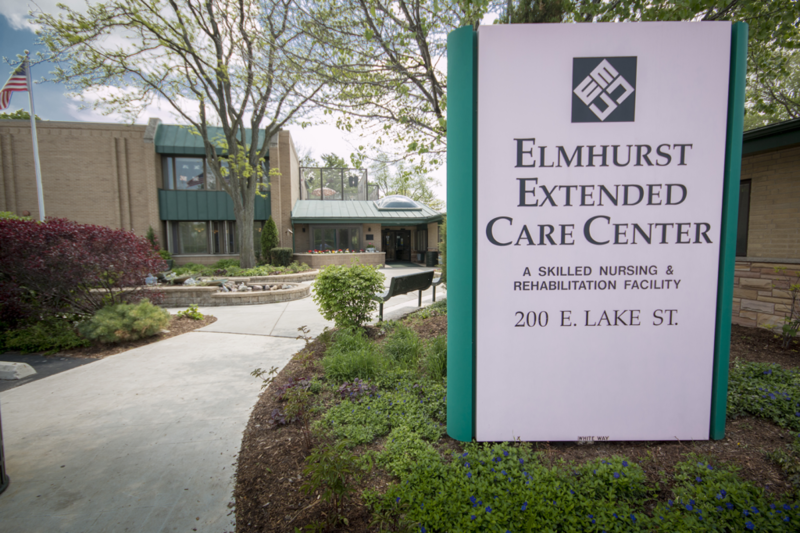 If you or a loved one are in need of a short term rehabilitation center that offers much more than just physical therapy, give Elmhurst Extended Care Center a call today! When it comes to choosing a long term care facility, whether for yourself or a loved one, the decision can be difficult. It’s often challenging to know what to ask and where to pick, and the decision shouldn’t be made lightly. We’ve compiled a list of eight questions to ask before choosing a long term care facility to make the struggle of choosing a skilled nursing facility easier to bear. 1. What are the staffing ratios? Staffing ratios are a serious matter when it comes to choosing any skilled nursing facility. You need confidence in knowing that the staff isn’t stretched so thin that they won’t be able to attend to you or your loved one’s needs when they arise. Ensuring the extended care center you’re examining has more staff to handle the needs of the facility is key. 2. What are the inspection ratings? This question is of utmost importance as it gives you an understanding of how the skilled nursing facility operates on a daily basis. Every year, nursing facilities are inspected by the Centers for Medicare and Medicaid Services and put under rigorous examination to ensure they are properly rated according to the care they provide. Their rating reflects this exam, and it’s a number you don’t want to take lightly. Take a look at the top rated nursing homes from U.S. News & World Report. 3. What services are offered? Not everyone needs a long term care facility. Some might simply need a short term care facility, others might be in search of Alzheimer’s care, and some might be looking for a rehabilitation center following a health event or procedure. Knowing the different services offered at a skilled nursing facility gives you a better idea should other needs present themselves down the road. 4. Are Medicare and/or Medicaid accepted? Whether you’re in a position to need it or not, you should know the answer to this question. There may come a point in time that money runs out, and you’re unable to afford the long term care being received. Knowing beforehand if the option to utilize Medicare and/or Medicaid is or isn’t there could make a big difference for you down the road. 5. Are the care plans individualized? Just like in everyday life, no two people are the same. Much in the same manner, no two people’s care plans will be the same either. Look for a long term care facility that focuses on providing individualized care plans so that you or your loved one can get the care you need and deserve. 6. Is there a RN available at all times? What happens when you or your loved one needs attentive care in the middle of the night? Will a registered nurse be available? Or will they be forced to wait until the next shift arrives, or worse, be delivered care by someone unqualified? Make sure the skilled nursing facility has a RN on-site 24/7. 7. What kind of activities are available? 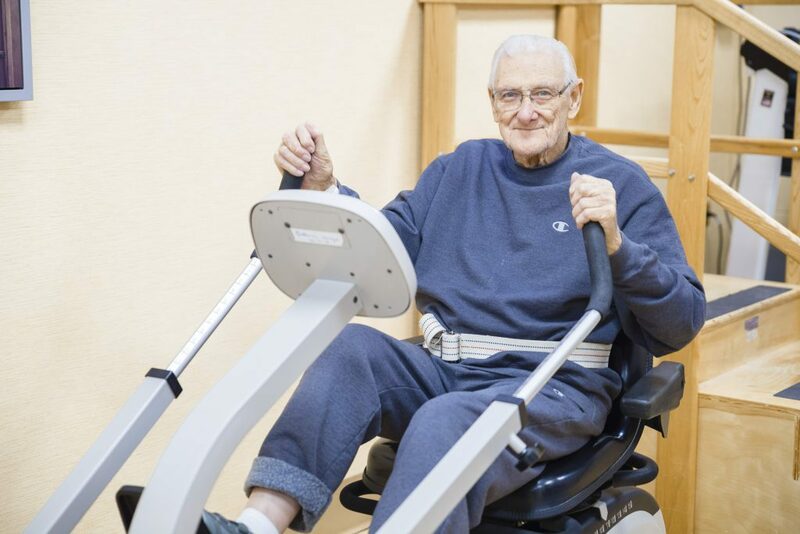 It’s important that you or your loved one stays active even when residing at a long term care facility. Find out what activities are scheduled, how often they occur, and if any are open to family members. Knowing that you can join in the fun with your loved one will be an extra plus for both you and them. 8. Are personal belongings allowed? Making the transition from home to a skilled nursing facility can be a challenging one. Often times, the comfort of having something from home can make it easier. Find out if personal belongings are allowed in resident rooms of the extended care center you’re checking out. For more info, take a look at this comprehensive checklist from Medicare of things to think about and look for when choosing a long term care facility. If you’re looking for a place that fits all of the above and more, stop by Elmhurst Extended Care Center. We offer Alzheimer’s care, a rehabilitation center, long term care, and so much more! You’re preparing to have a procedure done that will require short term rehabilitation, but how do you decide whether you should go to a skilled nursing facility with a rehabilitation center or head back to the comforts of your own home? While home is typically the “feel good” answer, it isn’t necessarily the best solution in the long run. As you well know, the therapy done following a procedure is crucial to your overall outcome and determining how well, or how poorly, your body heals. A rehabilitation center in a short term care facility provides you with specially trained therapists that have dedicated their professional lives to focused therapy that not only enriches a person’s life but also gives them the best chance at successful healing. Short term rehabilitation in a skilled nursing facility allows you constant access to medical professionals, allowing your needs and concerns to be addressed when they occur instead of waiting for someone who can get back to you on the phone or stop by your home for a visit. More often than not, those who choose to tackle their own short term rehabilitation at home seldom do their follow up exercises and therapy as often as needed. Utilizing a rehabilitation center ensures your therapy is done correctly and as often as required so that you may achieve your therapy goals much quicker. Choosing the benefits of a short term care facility for your rehabilitation needs offers so much more than just follow-up therapy after a procedure. The social aspect alone allows for an environment you might not otherwise get at home, and being around others has proven to provide a positive mindset, which in turn, helps the healing process. A skilled nursing facility also provides you with a setting where comfort is a priority. Enjoy amenities you won’t find at home while taking advantage of the ability to relax so that you can heal. 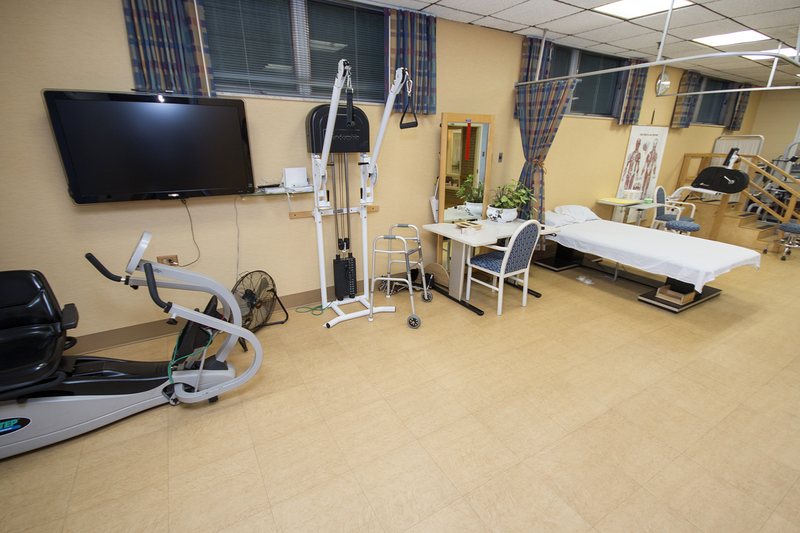 Elmhurst Extended Care Center offers a rehabilitation center in Elmhurst unlike any other. Our skilled therapists go above and beyond to make sure that your stay is one of great success, and we create individualized care plans for each of our patients so that you, your family, and EECC can ensure your goals are achieved. If you invest time now in choosing a skilled nursing facility to manage your short term rehabilitation, you will prolong your quality of life down the road. Elmhurst Extended Care Center takes great pride in our staff. Our skilled nursing facility is filled with a great group of caring people, making it a welcoming place for residents and their families. Our administrator, Love, is no exception. Having started as an intern in 2007 with EECC and then coming on full-time the following year, Love has helped in every department, and eventually accepted the position of Administrator as he truly valued the family-first mentality of our facility. We sat down with Love to get an exclusive view of what brought him here and why he continues to be at the heart of Elmhurst Extended Care Center. What brought you to choose to intern at EECC? 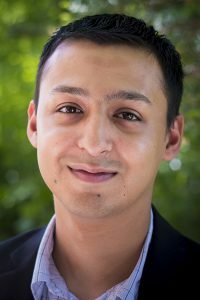 I wanted to intern at Elmhurst Extended Care Center because I was looking for a career path. I honestly had no idea what I wanted to do going into my last semester in college. I talked to family and friends and my mom was the one that suggested I go to EECC to see if it would be a good fit. She had been employed at EECC for long before that and thought it was a great place to work. I agreed once I started coming in. What does your day-to-day look like as the Administrator? My day-to-day changes everyday. That’s actually one of the reasons I like this position so much. It never gets dull or repetitive. My job is to oversee all of the operations, supplement the departments, and give them the tools that they need to succeed. That includes hiring new staff, creating and revising policies and procedures, negotiating contracts, resolving conflicts, handling investigations, ensuring compliance with state and federal regulations, and whatever else comes to my attention. What do you believe sets EECC apart from other skilled nursing facilities? Elmhurst Extended Care Center is different than other skilled nursing facilities because we are a small family business. We are here everyday and care about the people that have trusted us to help them. We treat our staff, residents, and their families like we would our own. The staff are our own employees, they aren’t contracted from another corporation. Our residents are cared for by the same people everyday and are able to build relationships with us. For people that want a personal touch when they get care, come to us. 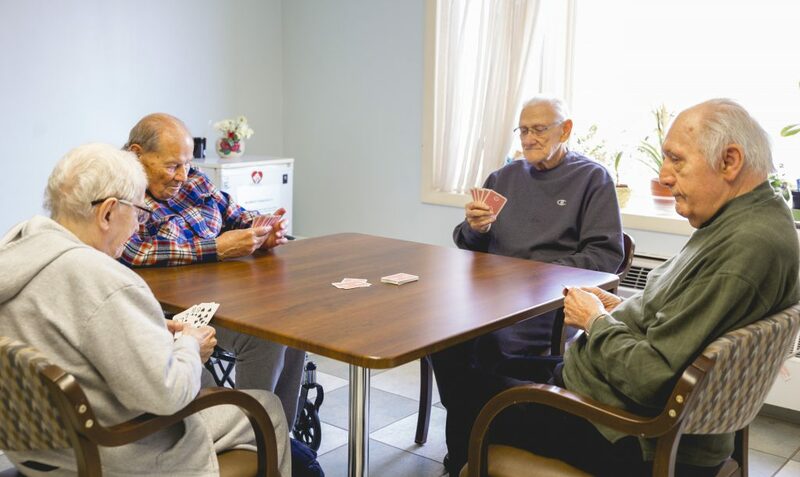 EECC’s family-owned skilled nursing facility offers many avenues of care including a rehabilitation center, a certified Alzheimer’s Care Center, and long term care. It really is a place where better care is a family matter. “Food is healing, enjoyable, and brings people together.” An Interview with Registered Dietitian for EECC, Christine Fitzgerald. We believe that better care is a family matter. We are a family owned and operated skilled nursing facility that has been offering peace of mind to our community since 1960. Site maintained by Connections Marketing.